Support Service to the Entrepreneurial Initiative of the University of Extremadura, coordinates and shows the entrepreneurship developed in the UEx, your talent; supporting your initiatives from the conception to its start up and development. Working directly in the territory by supporting the Extremadura Science, Technology and Innovation System, with a focus to the new tendencies and strategies that are being developed in Europe. The Research Results Management and Transfer Service (SGTRI) is a service for the management of the research activity and the administration of funds from the University, following the defined policy in the area by the related government bodies. Identify and disseminate the scientific and technic offer of the University. Setting, facilitating and developing the relation between the University and any other scientific-technical research applicant or promoter, either public or private. Facilitating and managing the scientific-technical research results, by hiring on behalf of the University, the necessary works and resolving any administrative requirement on behalf of the researchers. Agreement, contracts and research projects management. Establishing and managing the researchers, research and researchers groups’ data base of the University. Informing the researchers and research groups about the public calls for projects, grants, infrastructures funding and any other of their interest. Managing the industrial property rights from the research results developed by the University. Santander YUZZ is a programme which offers advice, coworking spaces and training to Young enterpreneurs who want to develope an innovative idea. YUZZ Badajoz center (University of Extremadura) is located in the Edificio de Usos multiples, in the middle of Badajoz campus. The building also has cafeteria, dining hall and is close to the Central Library. Just few meters away, there are different business incubators, research centers and the headquarter of INDRA in Badajoz. This generates an entrepreneurial ecosystem inside the campus, where are held a great amount of scientific and business dissemination events. Campus Emprende is a programme of the DG Business and Competitiveness of the Regional Government of Extremadura, managed through Extremadura Avante Servicios Avanzados a Pymes and co-finance by the European Social Fund. Campus Emprende aims to promote the entrepreneurial spirit from the University and facilitate the enterprise creation through the support to these initiatives from the very beginning, working with graduates from the last 5 years, who are considering the option of undertaking, turning their end-of-grade project into a company. The entrepreneurship programme Samara Emprende was created with the support of the Caja Extremadura Foundation, with the aim to promote the entrepreneurial culture in Extremadura and facilitate tools to young people for their professional and personal development from the point of an entrepreneurial mentality. Emprendedorext offers the possibility of a free training in business creation and other areas related to entrepreneurship and self-employment. Different training actions are combined with other activities, in which the participants will be put in an entrepreneur’s shoes, such as, business project simulation, known as Competext. Other advantage is that participants can learn from the advice of entrepreneurs and business men of the region, who were able to succeed with their own business idea. 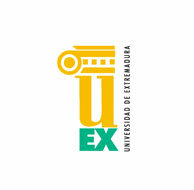 The Family Business Chair of the University of Extremadura was created in November 2005 and nowadays is developed under the collaborative framework among the University of Extremadura, Caja de Badajoz Foundation (Sponsor), Regional Family Business Association of Extremadura and the Family Business Institute. The activities are mainly focused in the different areas: research, training and national and international collaborative networks. Eighteen research teams study the national entrepreneur phenomena. The GEM objective is to measure the entrepreneurial activity, the attitude and aspirations of the individuals. Throughout surveys, it generates data to obtain the indicators that describe the entrepreneurial process and with them elaborates the annual reports.